If you are on a corporate computer and do not have permissions to install MSI files, you may try the following procedure. I wan't call it "portable" as it is does have some dependencies which it might not be possible to circumvent but it depends on the strictness of your configuration. See this article for a list of prerequsistes for your Outlook version under the section Have you run setup.exe and not GogTasks.msi. If you don't have the prerequisites, and the policy don't allow you to install them, I'm afraid you won't be able to run GogTasks. Among the downloaded files you will find a file named GogTasks-inst.reg. Attempt to import that file to the registry by double clicking on it and confirming permissions to the popups you will face. You may have to run it as administrator (right click -> Run as administrator). If your policy does not allow to automatically import registry files, you may attempt to run regedit manually and manually enter the information from the .reg file. Open the .reg-file in notepad and create keys in the folders specified with the data you see in notepad. Test the prerequisites by running GogTasks.exe -f. If the settings screen opens, it works. 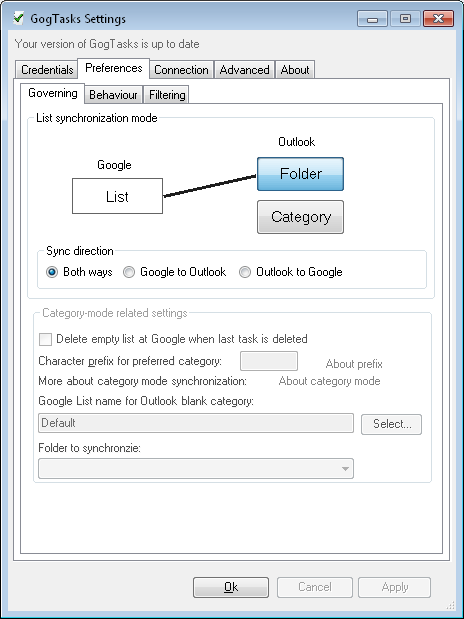 You will not be able to do any synchronization this way - for that you need to open Outlook.